In 1939, composer Virgil Thomson brought attention to a growing problem in classical music. Despite a dire need for the presentation of new works, orchestras around the globe clung desperately to certain classics “tyrannically,” as he wrote in a 1944 essay, and at the expense of others. Unfortunately, most would say little has changed since. The “50 pieces” Thomson mocked play on and on. Few people know just why certain pieces of music enter the classical canon and others of similar ilk are left to collect dust — or merely the attentions of aficionados. For every Beethoven, there is a Johann Nepomuk Hummel; for every Chopin, a Charles-Valentin Alkan; and so on. And then, there is the curious case of Alexander Scriabin (1872-1915), a classmate of Sergei Rachmaninoff. Like Rachmaninoff or Frédéric Chopin, the bulk of Scriabin’s output is for the piano. The prodigious Russian was fascinated by the Polish master, and composed largely in the same forms: polonaises, mazurkas, études, preludes, sonatas, etc. But to pigeonhole Scriabin as a mere modern incarnation of Chopin is an injustice both to him and to musical progress. Pianist Garrick Ohlsson, winner of the 1970 International Chopin Competition, believes Scriabin, like Chopin, had an authentic genius for thinking about music at the piano. While the concertos of Beethoven, Chopin and Rachmaninoff are certainly among what we would now call the “50 pieces,” Scriabin’s remains nowhere to be found on most concert calendars, even a century after his death. And yet consensus dictates that the work is ravishingly beautiful, and inspired by genius. Kirill Gerstein, winner of the 2001 Arthur Rubinstein Competition, performed the concerto earlier this month with the Deutsches Symphonie-Orchester Berlin. Gerstein first heard the work as a six-year-old, performed by the great Dmitri Bashkirov. He never forgot the experience, and later studied it with Bashkirov, whose recording is another standard. 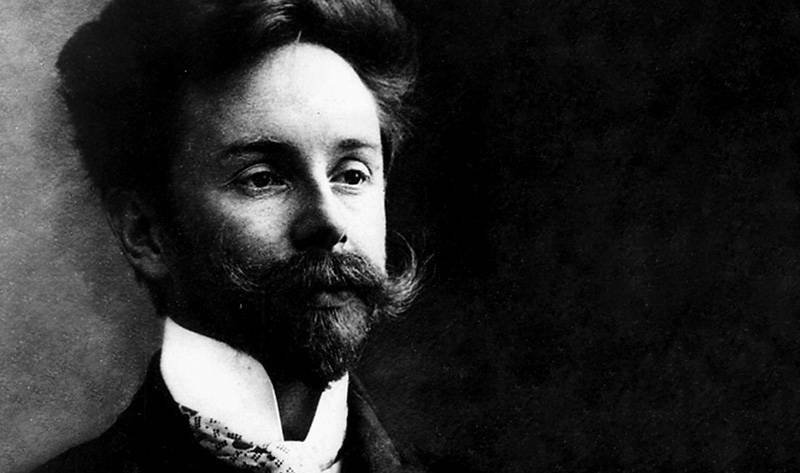 The concerto, Opus 20 (1896), was written not long before Scriabin’s transformation as a composer. He would later believe he was the Messiah, and the concerto’s Andante is one of the most heaven-bound, tender creations of the piano literature. The composer’s nervousness, along with a mercurial and ecstatic energy — central features of his later works — can be found in an evolved state by Opus 32. But one can already detect the germ of evolution in the Allegro moderato of Opus 20. In spite of musical and extramusical problems, Scriabin’s sole concerto may be his apex, the flower of a most unique, underplayed 20th century musical genius.